I saw your new line on the Fat Quarter shop and loved this row pattern that was created using your fabrics. 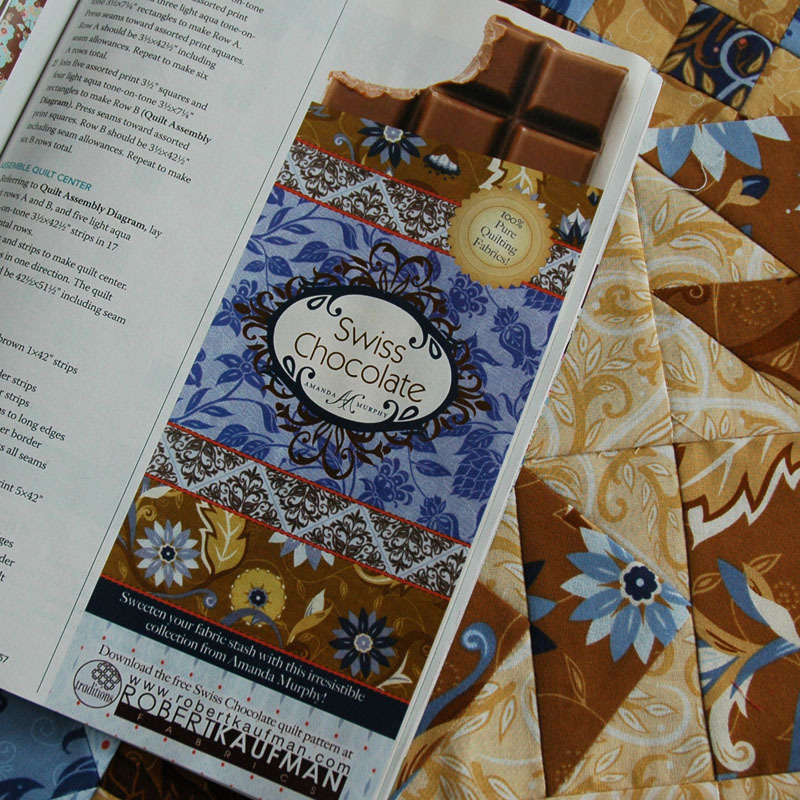 I am certainly going to be looking for the Quilts and More magazine for this pattern. OK, Your quilt on the rocking chair is just so cool. 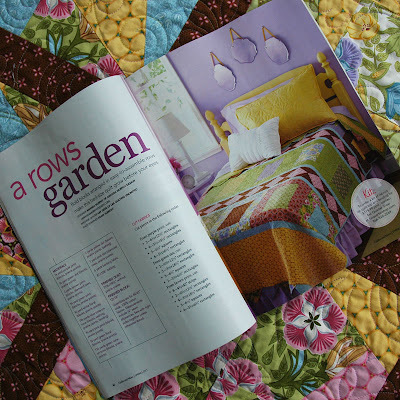 I love the bed quilt and the purple walls. The candy bar ad is so cute. 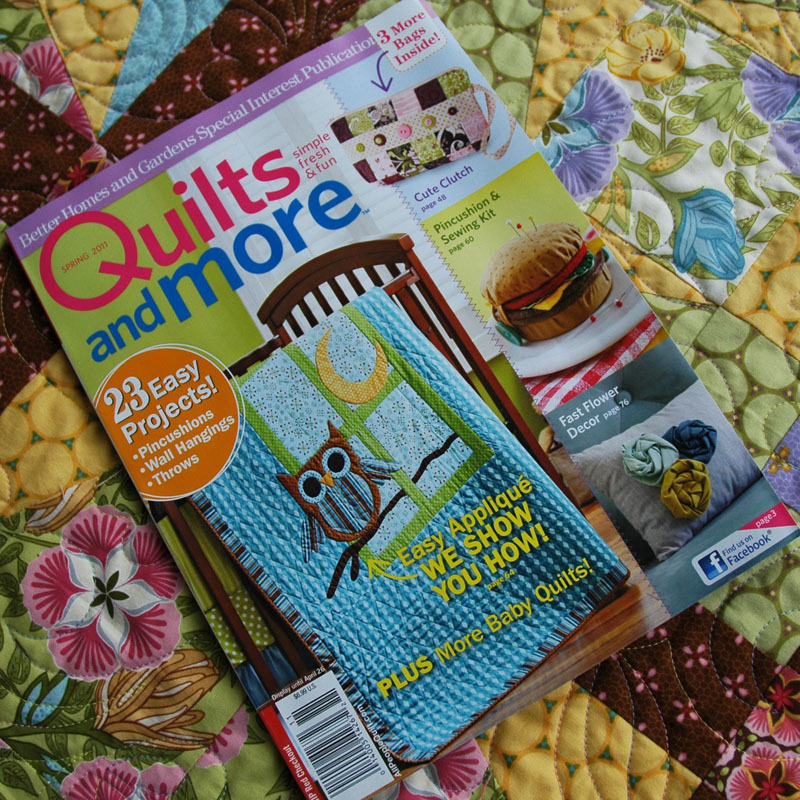 Congratulations on all your fabric, quilts and ads in the magazines lately. I love the chocolate bar ad! Your quilts are everywhere - Congratulations, they are all so gorgeous. 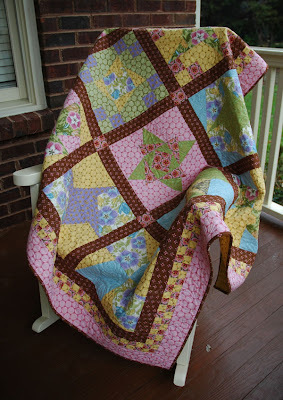 All the projects I saw here and in Ryan's blog really look great in this new line of fabric. I think it's a winner. I found your quilt in "quilts and more" but I can't find the kit to buy anywhere! I can find lots of other patterns, but I really like the one with the "prairie point". Can you direct me to the link where I can purchase this kit? Also, I would really like it in queen size. is that possible? ?